For years, my favorite go-to place for stationary, cards, and gifts has been Paper Skyscraper. Their selection is great and I could seriously spend an entire afternoon reading all of the Mik Wright cards, magnets, and coasters. When I popped in a few weeks ago, I noticed a new display of cards. 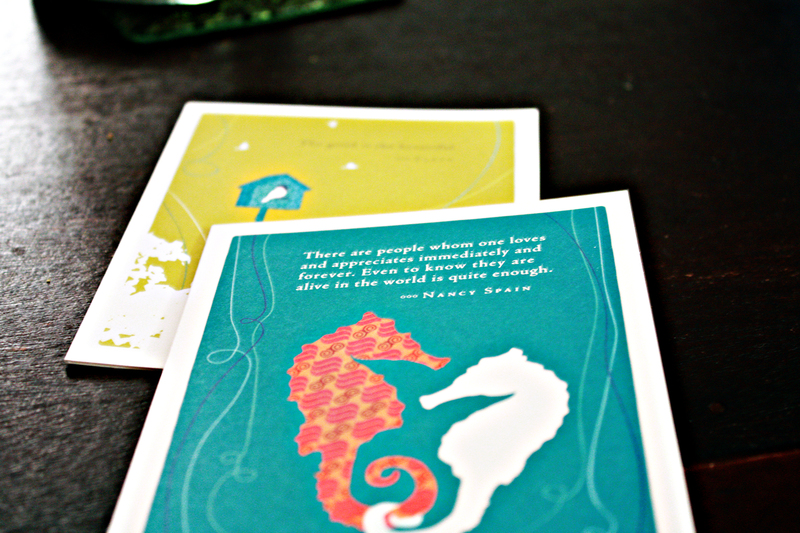 The brand is Do Something Positive and not only did the cards have the most beautiful cover artwork, they also featured wonderfully thoughtful quotes. 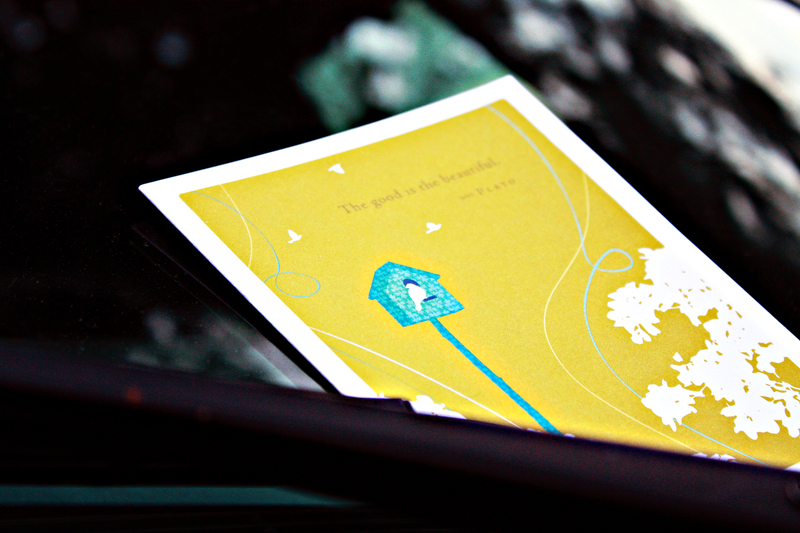 As I arrived at this evening’s dinner locale, I placed the two cards on two random cars in the parking lot. And that is my idea of doing something positive.